to struggle to come to terms with what happened. 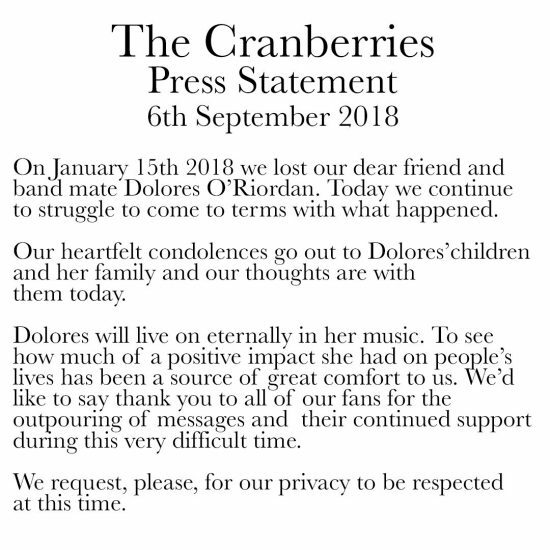 Dolores will live on eternally in her music. To see how much of a positive impact she had on people ’s lives has been a source of great comfort to us. 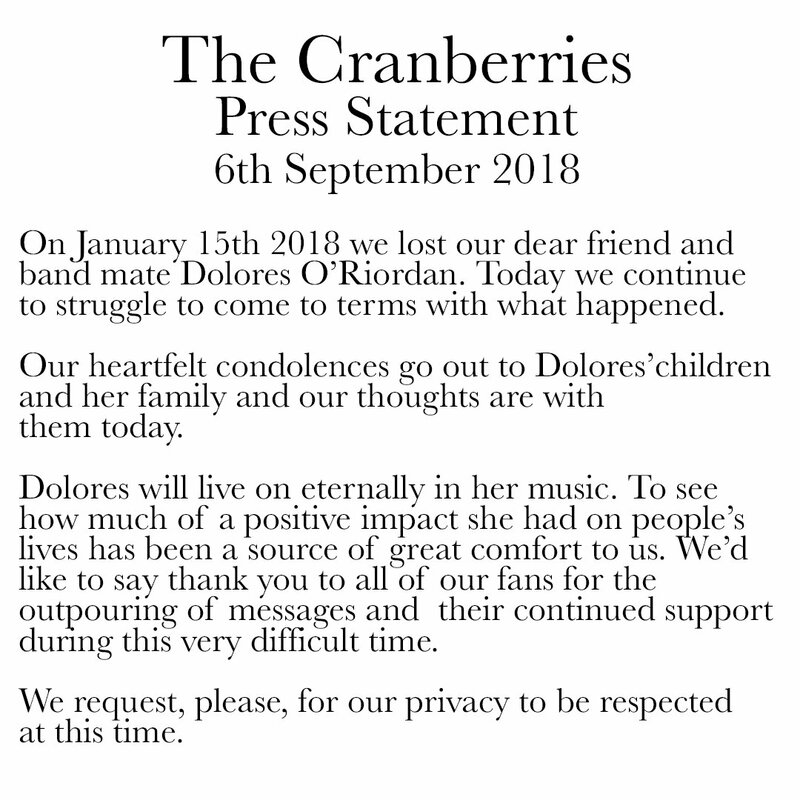 We ’d like to say thank you to all of our fans for the outpouring of messages and their continued support during this very difficult time. We request, please, for our privacy to be respected at this time.